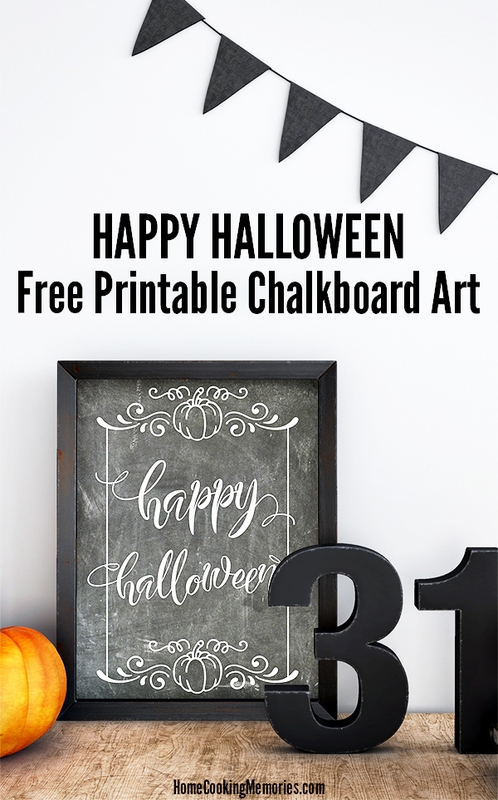 Celebrate Halloween with our free printable “Happy Halloween” chalkboard art! Just print on your home printer, frame, and display. 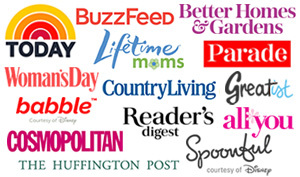 Available in both 8×10″ and 5×7″ sizes. I’m so excited — Halloween is just a few days away! It’s always been one of my favorite holidays and I can’t wait to celebrate this year. Our Halloween has gone through a bit of a transition the last couple of years. The kids started winding down the whole trick-or-treating thing. Last year was the first year that we officially didn’t go. It made me a bit sad – it’s been a tradition for over 20 years of my life and now it was done. Sure, we had a good run and our youngest was 14, so it’s understandable. But, still, I was sad to see it go. The part that makes me happy is that we still celebrate and we still have lots of fun. And, I’ll be honest, it’s kind of nice not going out and enjoying the evening at home. We also really love the whole process of handing out candy to the trick-or-treaters. It’s something we’ve never really done because we’ve always left the house for a couple hours while we took the kids out. Now, we stay home, we enjoy our decorations, make our usual Halloween party food, roast pumpkin seeds, hand out mini candy bars, and watch a fun Halloween movie (my 1st choice is ALWAYS The Nightmare Before Christmas). It’s one of my favorite nights of the year! 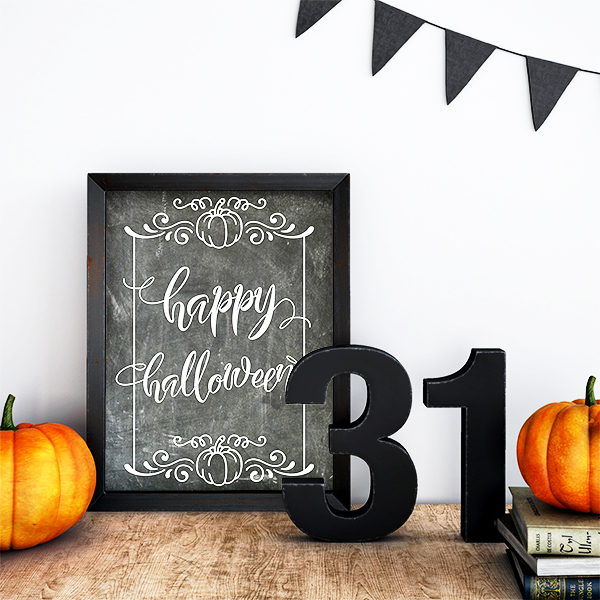 As an official “Happy Halloween” from my family to yours, we’re giving away a free printable that tells you exactly that: Happy Halloween! It’s created in a chalkboard art style, which looks great in just about any home decor. Just print and frame! It will look great as part of your Halloween decorations or you could print the smaller one to place on a buffet table with a bunch of Halloween food. 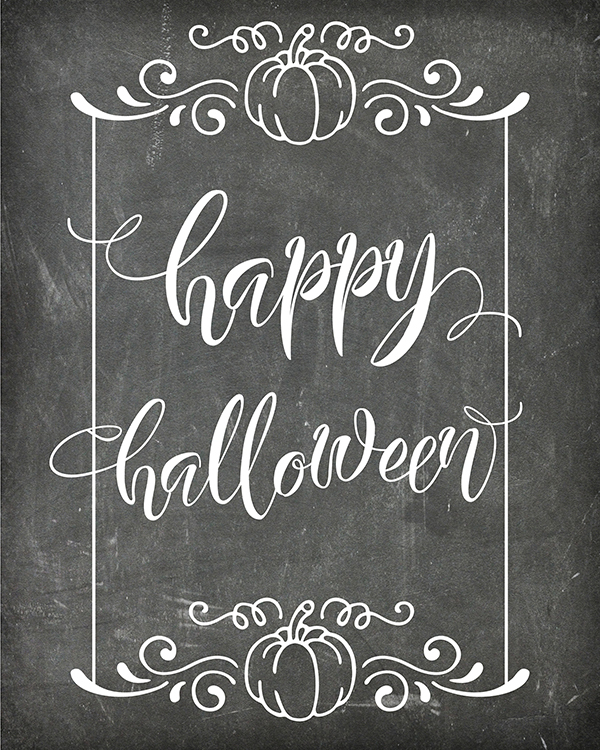 Click the links below to print or save your free Halloween printable — we have 2 sizes: a larger 8×10″ and a smaller 5×7″. After you click, it will open up the image and you can print easily on most home printers OR save the file to use later. 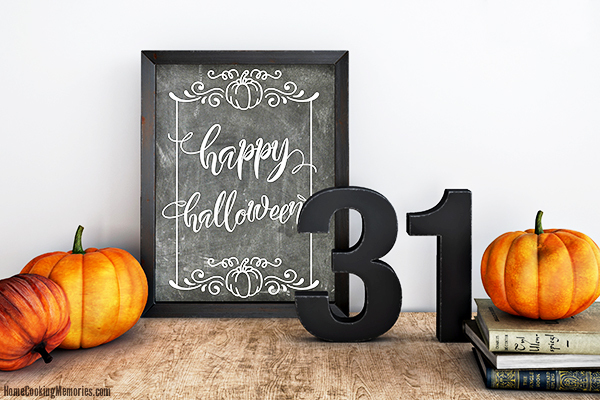 We hope you enjoy this free Halloween printable and, most of all, we hope you and your family have a safe and fun Halloween!